Developed by TT Games (LEGO Indiana Jones, LEGO Harry Potter) and published by Warner Bros. brings LEGO Batman 3 which has a unique trademark blend of action-adventure coupled with slapstick humour, into an all new, DC Comics super hero story. You will take on Braniac, a Kryptonian artificial intelligence, that threatens to shrink the entire world. However, Batman and the Justice League come to rescue in an attempt to thwart Braniac’s evil plan. Teaming up with the Legion of Doom, you will travel to the Lantern Corps in the hope to find all of the Lantern rings and harness their extraordinary energy to save the world. Players will fight off bad guys, solve puzzles and save the world by harnessing the combined powers of 150 DC Comics super heroes. On the way you will build awesome LEGO gadgets, one of them of course being the Batmobile and the others being laser guns and spaceships. 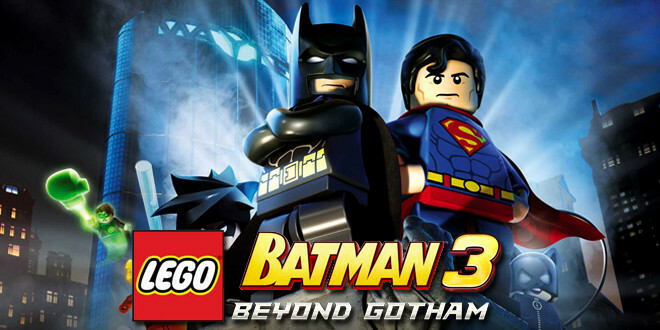 The Mac release of LEGO Batman 3: Beyond Gotham will be accompanied on day one by three add-on content packs. Players will rev up the Batmobile in the Dark Knight add-on, take on superman in The Man of Steel add-on and instigate party celebrations in the Batman 75th add-on. All these expansions will be available for purchase, in game or on an app store. The game for the Mac will be priced at $29.99 in the U.S, £20.99 in the U.K and 26.99 Euros throughout Europe. Obviously prices will vary if purchased from different stores. The game will be available form these websites, Feral Interactive, Steam and the Mac App Store. Thomas is an avid blogger and writer, working as a freelance writer to various different companies. He is currently working on a second novel, having independently published his first. English Literature is what he studies and along with that he plays a massive amount of on a variety of platforms. Reused Assets Podcast #3 – Best. Segue. Ever.